For an enjoyable day or night which is full of fantastic flavours, look no further than our reputable Thai restaurant. As a family-run business, Bangkok Lounge Finchley Thai Restaurant, in Barnet, London, provides traditional, delicious, and healthy Thai cuisine. With a kitchen full of chefs who have more than 30 years of experience, we are renowned for offering authentic meals at affordable prices. With everything we create handmade from fresh and tasty ingredients, we ensure that whatever is placed in front of you is cooked to the highest of standards. To make sure that we're able to provide you with nothing but delectable dishes, we employ a team of highly skilled and fully trained chefs. Working tirelessly to make sure that we provide you with the best possible service, we create all of our meals by paying careful attention to detail and cooking from the heart. Serving a selection of fresh, healthy, and traditional meals, you can rest assured knowing that we have something suitable for everyone here at our Thai restaurant. Utilising a combination of authentic spices and flavours, our food is sure to make you feel as though you're actually dining in Thailand. 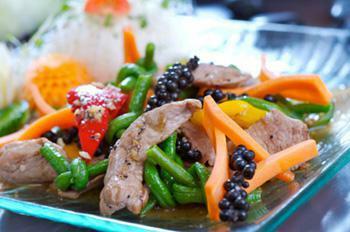 Here at Bangkok Lounge a Thai Restaurant & Takeaway in London, we have a wide range of menu options. Serving delicious Thai food, we are sure we have something for you to enjoy. Delivery only available to postcodes N2, N3, N6, N8, N10, N12. Out side of these areas is collection only.